The Common Core State Standards for Mathematics (CCSSM) are calling for the increased use of number lines. 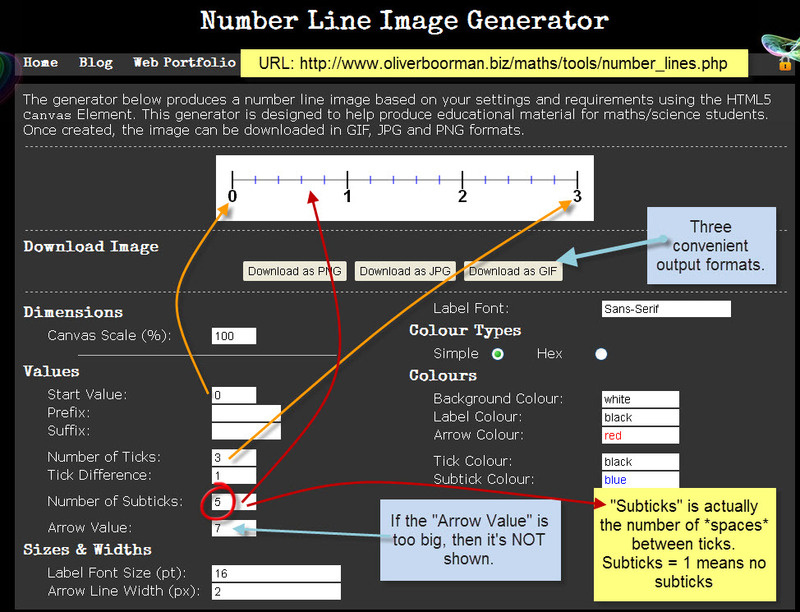 It generates a number line to your specifications and then you can download it (to your hard drive). Then the number line can be inserted into worksheets, SmartBoard notebooks, webpages, tests, etc. This tool can be used on the iPad as follows. Use the form to get the number line the way you want it. Go to the camera roll and crop it (edit). Then use the (share) button to Copy. Then go to Pages (or Noteabililty, or other app) to prepare your worksheet/ quiz/etc. and Paste the graphic.